They say ignorance is bliss, but before there were newspaper articles about dumb criminals (you know the ones where the robber writes a ransom note on the back of his bank deposit slip), there was Tom Ketchum, and in Tom’s case ignorance was fatal. The story of Tom “Black Jack” Ketchem is one of those stories that seem too idiotic to be true (but it is). Tom was born the youngest child of Green Berry and Temperance Ketchum (there’s got to be stories behind those names too). His father died when Tom was five and his mother by the time he was ten. Early on, Tom showed a bent towards trouble. The earliest record we have of him at age 16, he is being charged with failure to appear in court as a witness for an earlier case. Soon thereafter, Tom was the first man arrested by Tom Green County Sheriff Rome Shields. Tom’s crime was chasing a dog into a San Angelo, Texas church and down the isles with his gun drawn while the church was holding services. Rome was the father-in-law of Tom’s oldest brother, Berry Ketchum, Jr.
Berry was the respectable one in the family. Tom and another brother, Sam, were a different story. After his marriage to Ms. Shields, Berry kicked Tom out of his house and Sam went with him. Sam and Tom took to working as itenerant cow hands on ranches from San Angelo (in West Texas) down to the Rio Grande and over to Eastern New Mexico. Tom’s early crimes soon gave way to more serious offenses. 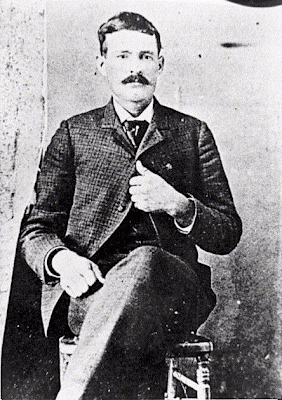 It was later wrongly assumed that he might have been part of an 1892 train robbery near Nutt, New Mexico Territory. The train loss was somewhere around $20,00. However, Tom was not known for living large or being on the run between 1892 and 1895, so this is almost certainly untrue. What is certain is that Tom started hanging out with some rather nefarious persons. The first major crime that certainly involved Tom took place in late 1895. Tom was initially implicated in the December 12 murder of a neighbor of Berry Ketchum’s in Tom Green County, a rancher named John "Jap" Powers. Jap was entering his horse pasture when unknown persons put three bullets into his back and one in his head. Initially, Tom was indicted along with four others who had fled town, but as the investigation continued, it was determined that Mrs. Powers had colluded with her lover, the ranch foreman to end her husband’s life and the charges against Ketchum were dropped. Shortly before his death, Tom admitted that he had in fact been one of the shooters, hired for money. Tom may have had a dual motive in Power’s killing, as Jap owed his brother a substantial gambling debt to Sam back in San Angelo. After the shooting, the Ketchum Gang really took off, as Tom and Sam were on the run for the Power’s murder. The Ketchum Gang, led by Tom, included various outlaws, but included notables such as Will Carver, Elza Lay, and Ben Kilpatrick. 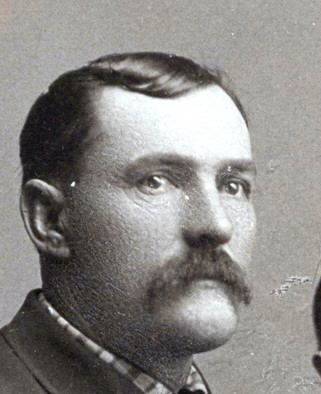 Several in the later Ketchum Gang were also sometime members of Butch Cassidy’s Hole-in-the-Wall Gang and the two gangs had numerous personal connections. Their first major robbery took place in Liberty, New Mexico, where they robbed a general store and post office. They got away only after killing two members of the pursuing posse. During this crime spree, Tom was mistakenly identified as Will “Black Jack” Christian and the misnomer stuck. Tom, with two others, robbed his first known train, the westbound No. 20, on May 14, 1897 outside of Lozier, Texas (just west of Langtry). The men took control of the cab and uncoupled the mail and express cars. These cars were then moved about a mile to a mile and a half down the tracks where the safe was then subjected to dynamite. According to Wells Fargo, the loss was $42,000 and all evaded a sizable posse, escaping back to Tom Green County. It was after this event that Berry Ketchum supposedly sent Sam to try and talk his brother Tom out of further crime, but when Sam met up with Tom, Tom was more convincing than Berry and Sam decided to join his younger brother instead. So, fresh from a successful train heist in in Southern Texas, Tom (now joined by Sam) and the rest of his gang found what they thought would be the perfect spot for a train heist, a section of the tracks called the Twin Mountains Bend between Folsom and Des Moines, New Mexico. 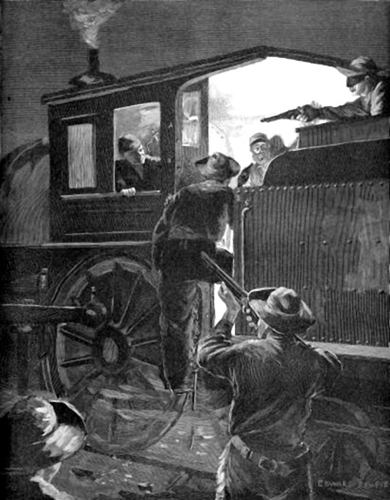 Train robbery is always a risky venture, but unlike Texas, in the Territory it was punishable by death. 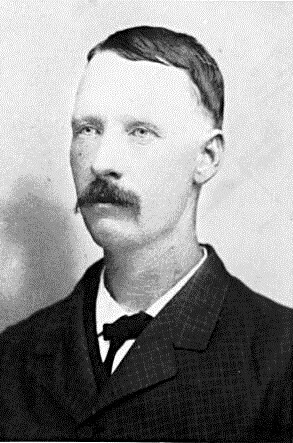 On September 3, 1897, they pulled off a nearly identical heist to the Lozier robbery, the southbound No. 1, but this time the haul was a disappointing $2,000 to $3,000 in cash and some silver spoons. Tom was prone to wild mood swings and by 1898 Sam had tired of Tom, so they parted ways. Tom went to Arizona (where he subsequently shot two shopkeepers, one in the back, at Camp Verde, Arizona Territory, July 2, 1899) and Sam carried through with a plan that Tom had thought up, a second robbery of the No. 1. 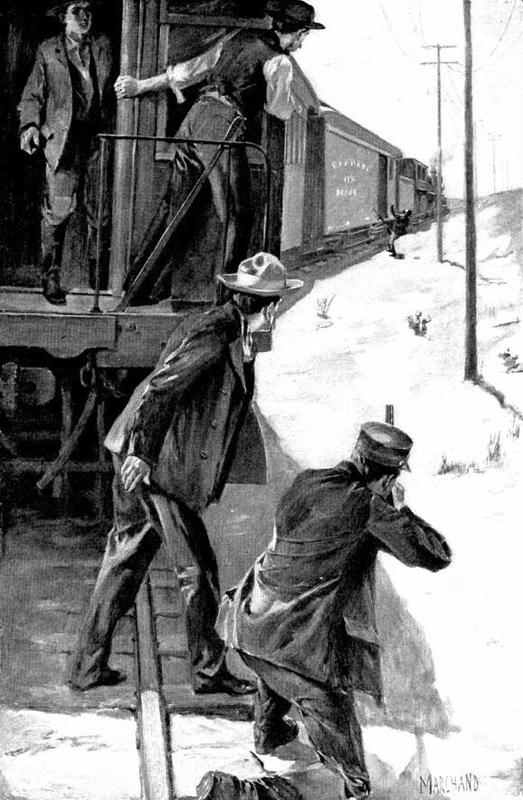 Although, disappointed with their earlier haul, they somehow figured that the Twin Mountains Bend was the ideal robbery spot, so on July 11, 1898 they robbed the same train. The trouble is that their gang was not the tightest lipped and had been bragging about what they planned to in the saloons of Cimarron, New Mexico (not too far from their cave hideout). This time the lawmen were expecting a holdup, and tracked them to their hideout. A gunfight erupted and most of the gang was killed or captured. 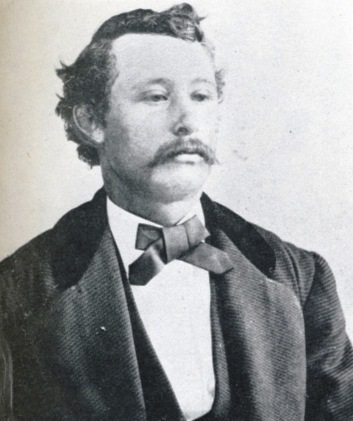 Sam Ketchum was mortally wounded and died in custody. So, Tom, who had been avoiding human contact since the shootings at Camp Verde, decided to head back and reconcile with Sam and the rest of his gang. When he couldn’t find them (unknown to him, most of them now dead or captured), he decided that he didn’t need them after all and he decided to rob the very same train at the very same spot for his second time, but ignorant that this would be the third robbery and the second in as many months. On the night of August 16, 1898, Tom made his move. Acting alone, he stopped the No. 1 at the Twin Mountains Bend, but he was ignorant of a couple important details. First, he did not realize that the conductor, Frank Harrington, had grown mad that his train kept getting robbed, so he was now traveling with a shotgun, secondly, Ketchum was ignorant that the train was still equipped with the older “Miller hook” coupling device. The disadvantage to the older system is that it would only allow cars to decouple when they were straightly aligned and Ketchum had stopped the train on the bend. After many threats and furious effort on the part of the train personnel, the passenger coaches remained coupled. In the frenzy of activity, Tom did not notice Conductor Harrington coming around from the backside. With a well aimed shot, Harrington emptied a blast into Ketchum tearing into his right arm above the elbow. Tom staggered to his horse, but was so weak he couldn’t mount. The train sped off to alert the law. In despair Tom lay by the tracks and waited for what came next. Ketchum tried to give a false name to authorities, but he was soon correctly identified. 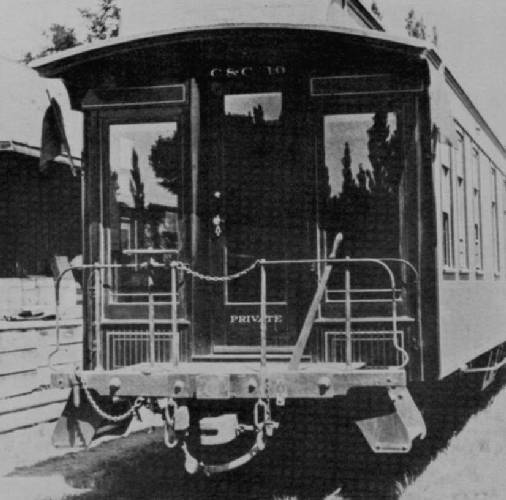 He was first transferred by train to Trinidad, Colorado, where doctors amputated the wounded arm and when better, he was transferred to Clayton, New Mexico. At Clayton, he pled innocent, but was found guilty and sentenced to be hanged by the neck until dead. 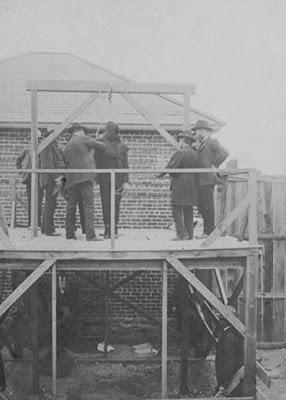 The hanging was delayed several times, until authorities received word that a prison break might be in the works by remaining members of the Ketchum Gang. 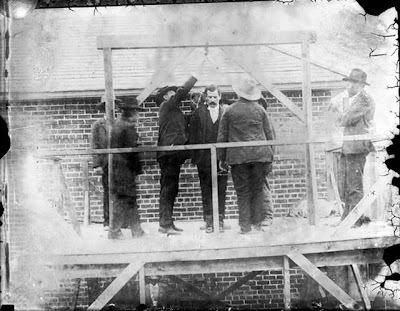 April 26, 1901 at 8:00 am was selected as the time for execution. Tickets to the hanging were sold to an eager public, shops were closed, and people rode in from miles around. Tom was led up the gallows and a noose placed around his neck. Unfortunately for Ketchum, the town of Clayton had never held a hanging and the authorities misjudged the length required for the rope and Tom fell too far too fast. Some said the extra weight he put on in jail may have added to the strain. Either way, the rope severed his head and he was instantly decapitated. In later years, capital punishment for attempted train robbery was declared unconstitutional, but in my opinion, Ketchum got what he deserved. Thanks for the interesting info on Blackjack. My family is from New Mexico. After a day of "cowboying" my grandmother would ride horseback to the schoolhouse near Nutt Station, NM. After dancing the night away, she would ride home. They made them tough in those days. Gotta agree with you Nate. Black Jack got what he deserved. He was a murderer. I always seem to have to go into your blog twice because I forget to look at the Live Feed. Could you move it up - maybe above the links? Anyway, I see I am now in Port Lavaca, which is accurate. Very interesting about Ketchum, but I can't imagine people paying money to see a hanging. Yuck. Have you ever seen a 'Science on a Sphere'? There are about 50+ in the US and if one is near you (just Google it), it's worth a trip. My blog has pics. Great story! He really got what he deserved! Very interesting! The pictures were pretty good too - until the decapitation! I was delighted to see your blog on Black Jack. He is a distant relative. Believe or not my father's name was Thomas Ketchem. When we called his attention to Black Jack we received a very emphatic "He was trash, just trash"!!! Obviously, my father didn't see the humor in the story that his daughters did. JKB, thanks for your post. Fun to hear from someone with a personal connection. I agree with your dad's assessment of Black Jack, but one bad apple certainly doesn't taint a good family. were just little guys watching the sheep. When I taped some of the family history they both mentioned Black Jack. The boys noticed that there was a man lying down in a ditch below the train tracks. They became afraid of the stranger and quickly ran home to alert their families. When word got around that Black Jack might be hiding out in the caves outside of Folsom, the women would leave food and tortillas out for him. Black Jack always left them coins. Another story told to me was that one of the relatives was there in Clayton watching the hanging. Being a young man, this was a sight to see. 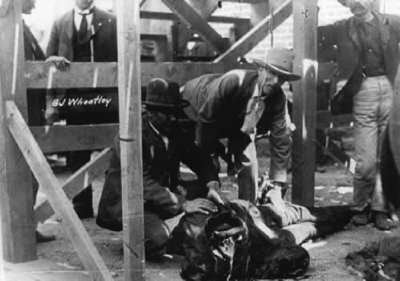 When the head snapped off during the hanging he became so frightened he jumped on a horse and headed home, violently ill. Only thing is that he had jumped on the wrong horse! Later after all the commotion was over the law rode out to his house to get the horse. Taking into consideration the boys age and that he obviously jumped on the first horse he saw to get out of Clayton, no charges were filed against him. Poor little guy! Uncle Blackjack was one of my ancestors, too. For those who find him interesting, you can find lots of info at the Herzstein Memorial Museum in Clayton, NM. 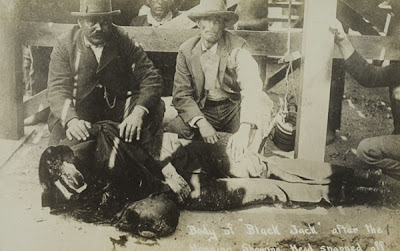 There is a great recent book named, "The Deadliest Outlaws, The Ketchum Gang and The Wild Bunch", by Jeffrey Burton, which details some of their exploits. BTW, he did some incredibly stupid and boneheaded things but he was, by all accounts, a very intelligent man. My grandfather, who was born in Texas in 1898, always denied that we were descended from this most psycho villain since back in the day it was a disgrace to have such a critter in your family. With much perseverance, proof of our ancestry by found by our amateur geneologist parents. My grandfather looked the very "spittin' image" of Uncle Blackjack so we never had any doubt but it was good to have proof of the truth. I am a reunion organizer for the Duncan/ Ketchum Reunion from March 31 to April 2, 2017 in Meadview Arizona. It will be on what was the Tap Duncan’s Diamond Bar Ranch. We expect up to 200 people. We will have plenty of Ketchum there – the Ketchums married several times into the Duncan line. If you are interested in attending please don’t hesitate to email or call. I am a reunion organizer for the Duncan/ Ketchum Reunion from March 31 to April 2, 2017 in Meadview Arizona. It will be on what was the Tap Duncan’s Diamond Bar Ranch. We expect up to 200 people. We will have plenty of Ketchum there – the Ketchums married several times into the Duncan line. If you are interested in attending please don’t hesitate to email or call. If you are interested in attending please don’t hesitate to email or call. Hangings at the time Tom was hung were a big deal like a circus, people paid to see it. The train industry lobbied to make robbing a train capital punishment and soon after Tom was hung, the law was changed to a non capital punishment offense. Tom is my ggg Uncle. He cared about his family, and relatives and before you call him stupid dig a little more into the details of the train robberies.